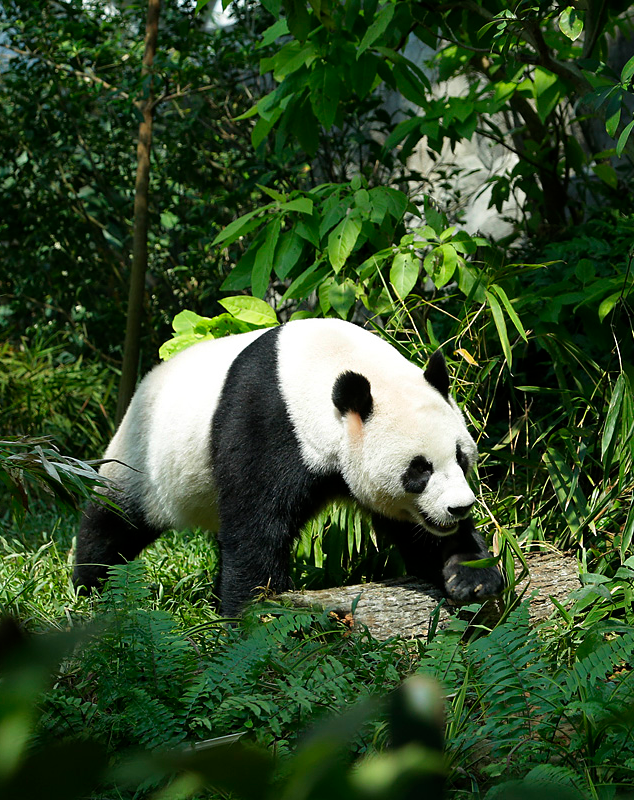 The Giant Panda is the only bear to be completely herbivorous, which is an animal that eats only plants. The female Giant Panda also has a small piece of skin on its stomach that acts like a pouch, where the female will put her cub until it is 5 months old. Pandas in captivity are very hard to breed, this is partly because a female Giant panda ovulates (comes into heat) only once a year in the spring. New studies done have revealed that the female Giant panda chooses a mate after two males fight for her affection and the right to mate. This is why females in captivity tend to lose interest in males. 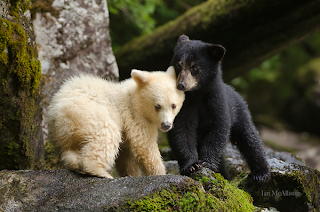 Another finding found that pandas will sometimes fake being pregnant to get attention. visible, unlike an albino animal. 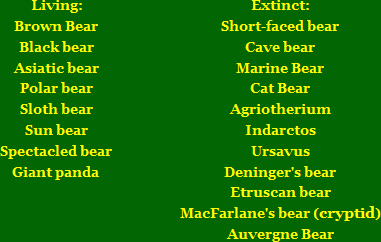 The bears range varies from bear to bear. 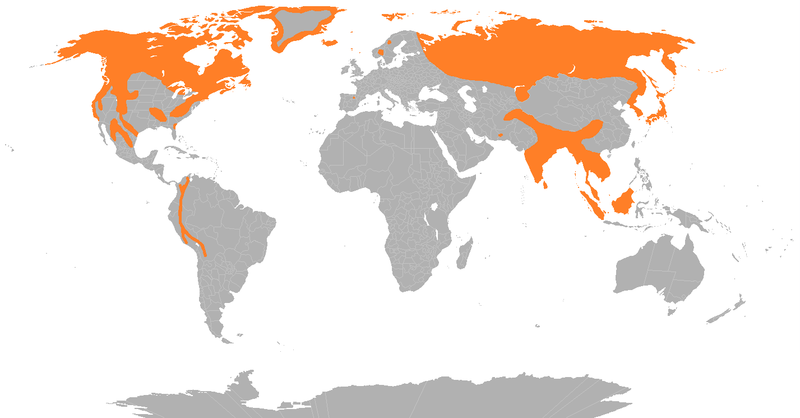 The one with the smallest range is the Giant panda, in fact scientist say that the Giant panda may be extinct in less then 10 years. The wolf is one of the most misunderstood animals to date, and are the ancestors of all domestic dogs. Though wolves have never been reported attacking humans people still think they are dangerous. Wolves are among the most social of canines. Their pack behavior is vary complex and ordered, they are even known to morn at a pack members death. 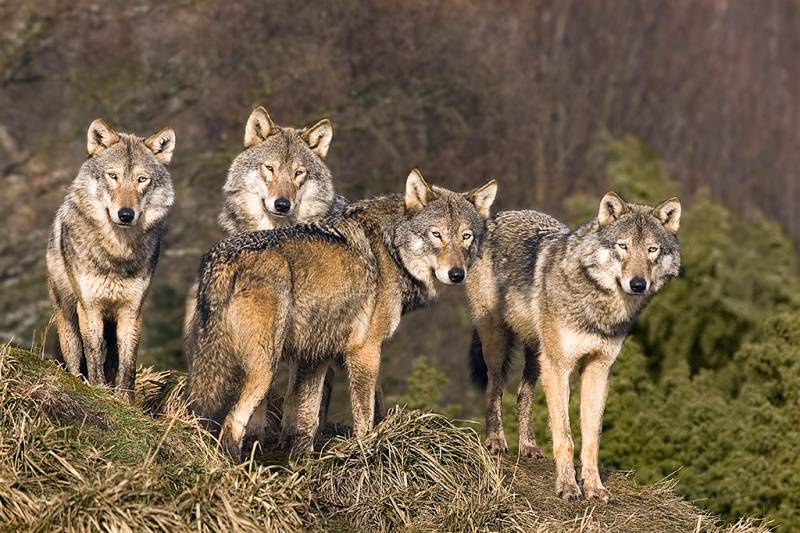 A wolf pack also consists of many members, the smallest on record is 6 members while the biggest is 37. The alpha female in a wolf pack is the only one to have puppies. 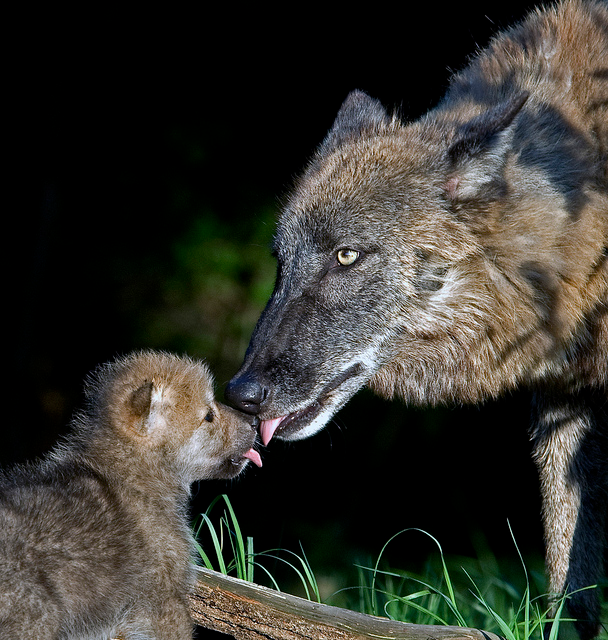 On average a wolf is pregnant for 2 months (or 61- 63 days). The other pack members all take part in raising the puppies, the other females will even produce milk and feed the puppies while the mother is hunting, where as the males often fight over who would stay and babysit the puppies while the pack hunts. When a female wolf is 2 and a half years old she leaves her birth pack to join one with no or few females in it, while most males stay in their birth pack for life. The wolves range was a lot bigger years ago but now they are slowly dieing out do to hunting, deforestation and other human activities. 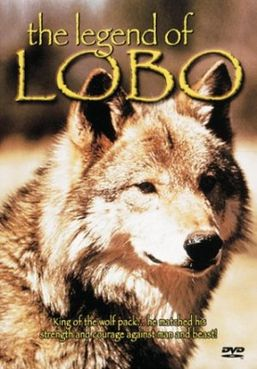 Their is a legendary wolf that people have named Lobo The Wolf That Changed America.